This blog post comes as disheartening news for many DigiXstream Android TV Box users. Many of you have already begun to take notice that some of your Kodi Add-ons on your DigiXstream media streamers are simply not working as good as they used to. We’ve certainly have been getting more and more support calls about it. This is because 3rd Party Kodi Add-ons are all upgrading to work with Kodi 17+ Krypton, which requires Android 5.0 or better… and the old DigiXstream boxes features a top version of Android 4.4.2 Kitkat, which is outdated. Unfortunately, this and other DigiXstream box issues are out of our hands because DigiXstream Shop no longer has any role in the development of the DigiXstream brand. 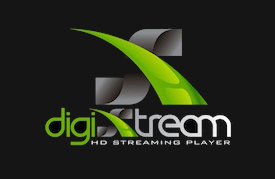 DigiXstream Shop is not affiliated with DigiXstream, LLC. in any way other than our team helped develop, grow, and support the DigiXstream brand for the past 3 years as the Official DigiXstream Sales, Help, and Support Hub. To be fair, DigiXstream & DigiXstream Shop had no idea of how quickly the industry would change and how long their technology would remain current. We do have some good news though. We will continue to service and repair their units for our old and new DigiXstream Shop customers (because no one else qualified will) but last year our team moved our attention to our very own brand to which we maintain 100% ownership of and proudly stand behind all aspects of 100%. The new Android TV Box brand is called FOMOstream. FOMO = ‘Fear Of Missing Out.’ You won’t want to miss out, and you don’t have to with the brand new FOMOstream Android TV Box. We have our own manufacture, hardware, firmware, updates, and unique Kodi Setup, but still the same tech support team that made the other brand so great over the years. Our new Android TV Box box is designed to be powerful, but with the average customer in mind, so it’s easier to figure out, and we don’t get nearly as many calls for support regarding the new FOMOstream Fs1 Series. We designed 3 models in our FOMOstream Fs1 Series, each one fully loaded and fully maintained, featuring Kodi 17.1 Krypton (at the moment), and currently having more overall upgrades and capabilities than any other Android TV Box on the market. Representing and supporting 1000’s of customers over the past 3 years has given our DigiXstream Shop the best insight possible in regards to developing the best, Customer friendly, Android TV Box manufacturing company in the U.S.; if not worldwide! Upgrade today and receive FREE S&H w/in the U.S.! All DigiXstream Shop Customers that purchased an Android TV Box from us will Receive a $50 Discount off any Fs1 Series and everyone can get a discount on FOMOstream bulk orders! Feel free to reach out to us with any questions or concerns you might have regarding this blog post, and or to upgrade your unit. For a limited time you can order a brand new DX4 Octa Core with our $90 Discount! 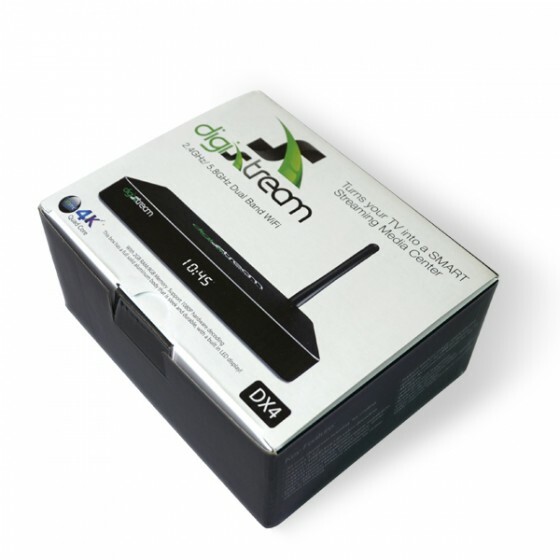 You can order the DX4 Octa Core Android TV Box from our DigiXstream Shop in their regular state, Fully Loaded w/ 1Yr Warranty (like you can purchase anywhere else), or you can order them Fully Setup w/ 1Yr Warranty & Tech Support Included! The DX4 Octa Core can Stream in HD, 3D, and 4K Resolution! Never a Membership, Subscription, or Rental Ever Required! New FOMOstream™ Android Smart TV Box ! DigiXstream Shop is proud to introduce the new FOMOstream™ Android Smart TV Box | HD, 4K, & 3D Streaming Media Player; for those who desire the best of the best. For nearly 3 years now, DigiXstream Shop has grown the DigiXstream brand through development, marketing, updates, sales, service, repairs, and our stellar support which is the backbone of why the DigiXstream brand has thrived so well over the years. FOMOstream™ is not affiliated with DigiXstream in any way, other than our team, who has helped to develop the DigiXstream brand over the years, is now the sole developer and owner of FOMOstream™ brand Android Smart TV Boxes. The same core values that our team has brought to DigiXstream brand, will also be applied to the new FOMOstream™ Android Smart TV Box. FOMOstream™ is designed to outperform all its predecessors with its capabilities, processor speed, upgrades, user platform, and support. The specs alone will show you that it’s in a class of its own, but we’re certain the experience will seal the deal. DigiXstream is still a great Android TV Box and the next best choice, but if you can afford to spend a little more, we recommend the FOMOstream™ Android Smart TV Box. The Fs1 Series from FOMOstream™ is the first fully managed and supported Android TV Box to feature the brand new Realtek 1295 Chipset which industry enthusiasts understand to be the top leading chipset available on the market. Our Fs1 Series also pioneers the Android TV Box industry as the first Android Smart TV Box to support VP9 Ultra HD Streaming Technology for YouTube 4K. This means that unlike other Android TV Boxes that claim to have 4K streaming capabilities, but require external files to stream 4K, the FOMOstream™ box can stream 4K resolution films directly from KODI! There are 3 Fs1 models available. The FOMO platform is easier to work with than other Android TV Boxes. Unique to the FOMOstream™ brand is the detailed and ‘up-to-date’ online support content that we offer in conjunction with the same great phone support / email support we have always offered through our DigiXstream Shop. As the Official DigiXstream Sales, Help and Support Hub, we don’t actually own the DigiXstream brand, we just have added value to it over the years. When you build your business on support for someone else’s brand you can’t give that support away for free to the public. Not only would that devalue the support that our direct customers have paid for, but it would devalue much of our service altogether. DigiXstream, LLC. (the DigiXstream manufacture) has never been very good at updating the public with new changes, or even their authorised resellers to be honest. DigiXstream, LLC. has not wanted to deal with the public or offer tech support at all. That’s one of the reasons they hired us as the Official DigiXstream Sales, Help, and Support Hub back in 2014. FOMOstream™ understands the importance of help and support. All of our DigiXstream Shop customers will get generous discounts on the new FOMOstream™ box from www.FOMOstream.com. An exact discount amount depends on the number of boxes purchased and how much business you have done with us in the past. Give us a call to find out just how good of a deal we can offer you. We are also happy to answer any questions may you have. Black Friday 30% Everything Sale !!! *Excluding our ‘ala-carte’ tech support plans. We Appreciate Your Business !! Your Digi Wizard ‘Fresh Install’ should be run once a week to every 3 weeks. If you go more than 3 weeks without running your box you will find your user experience beginning to diminish. You may notice there are 3 Digi Wizard Setups now. If you say Yes, you next need to confirm that you are 18 years of age or older. Then the Download and Unzipping of the files will begin. After that the box will likely reboot KODI a time or two before it fully loads back up. This is normal after a Fresh Install. Also, keep in mind that due to the nature of our fast growing industry, these options may change a bit over time. We Stand w/ Standing Rock! 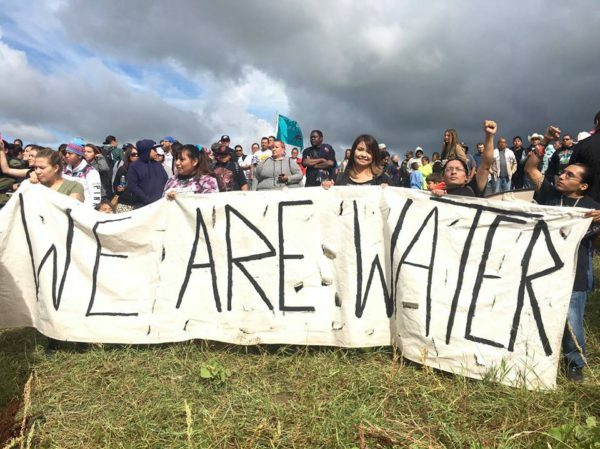 DigiXstream Shop stands strong with Standing Rock and Native Americans in North Dakota for the purpose of protecting our sacred lands and water supplies. We encourage you to do the same! Here’s everything you need to know to help fight the Dakota Access Pipeline! 3. Call the White House… (202) 456-1111. 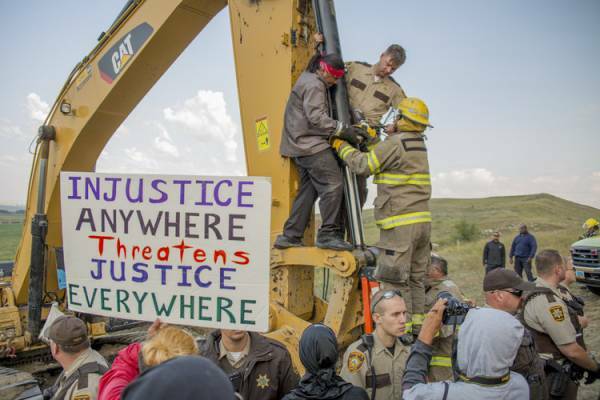 Tell President Obama to rescind the Army Corps of Engineers’ Permit for the Dakota Access Pipeline. Together we will make a difference while standing up to evil corporate greed! We will also discover how powerful we are. I applaud all those who take action to protect our Land, Water, and Native Americans from those Corporations who desire to harm all of the above in the name of profit and power. Order Today and Stands with Standing Rock! Win A DL4 Quad Core – RAFFLE ! It’s our 2nd Year Anniversary of our DigiXstream Shop and to celebrate We Are Giving Away 2 FREE DL4 Quad Cores !!! We want to thank our Customers and fans for supporting us over the years. 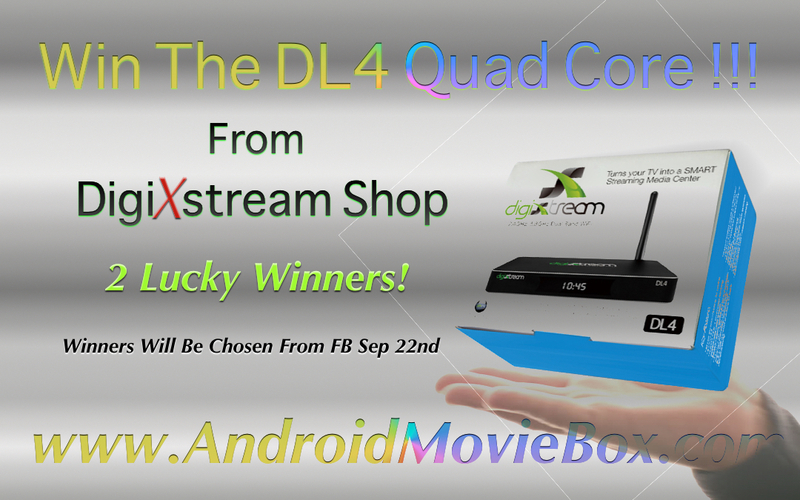 To show our appreciation our DigiXstream Shop will be giving away a DL4 Quad Core Android TV Box to not just one; but TWO lucky winners on September 22nd 2016! This special giveaway will take place on our Facebook fan page over the next week. 2 Lucky Raffle Winners !!! That’s 2 DL4 Quad Cores Up For Grabs, for FREE !!! but currently on sale for $140.48 each when purchased through our DigiXstream Shop today. S&H Included. Be sure to follow our DigiXtream Shop FB Page to participate if you’re not already. Two Chances To Win !!! Two (2) winners will be randomly chosen on September 22nd 2016 between 7pm. – 10pm. Is DigiXstream Safe To Use? We understand that many of your family, friends, and loved ones are concerned about the legalities of using our DigiXstream Android TV Box, out of fear that it may be illegal, and that there may be consequences. Let me first start by assuring you that this device is not illegal, as long as used as intended. Just like any other home computer; or even a plastic spork, it can be used illegally but we certainly never condone such activity. ‘Streaming‘ content is always safe. ‘Downloading‘ copyrighted material could get you in trouble. Especially if you then sell or distribute the copyrighted material. Our regular updates ensure are to help improve your user experience. The most recent version of the firmware has Aptoid installed and for Kodi we have disabled Debug Logging in order to speed the boxes performance up…we now have a 35% faster box than ever before which is a huge benchmark. New OTA Update (Version 20160624.V7.0.2) Available for DX4 Plus Models! …however, OTA Updates are never mandatory. If you decided to update, it’s very important that you check both boxes that say ‘Clear Cache‘ & ‘Clear Data‘ before completing the update. After the update you will need to reboot KODI and then set it all back up from scratch again starting with Wifi and or Ethernet connections, Adjusting screen dimensions, and then going to KODI and running the !OnlyWizard. This update should work out any bugs in OTA Updated version 20160512 you may have experienced; however, if you have any issues after the update please alert our DigiXstream Shop team so that we can continue to improve your DigiXstream user experience. I love this thing! So far I’ve searched for 10 movies and was able to watch everyone in HD. It even had my favorite 80’s movie “Rad”. I’ve found dozens and dozens of TV Shows I like, which are NOT on Netflix. The best part is it’s all free, no monthly payement. You buy the box once and you’re set for life. All the content is updated regularly so I don’t ever have to worry about the box being out of date. Nearly every friend I have that has been over and showed how it works has bought one for themselves. I don’t have cable or satellite , but my friends who do tell me they cancel it within a week after getting a hold of this magical box. I love my digistream dl4, but I have a question. Is there a way to save TV Shows or movies so I don’t to search for them everytime? Yes, but they are also very easy to move around from TV to TV if you were to have more TV’s than DigiXstream boxes. Is there a way (I may not have figured it out yet) to set up a Favorites folder, then save my add ons to that folder instead of having to navigate around to find what I want? I do have the tech support. Yes Gary. As a valued and supported DigiXstream Shop customer you can contact us by phone between the hours of 9am – 5pm Mon – Fri, and 10am – 5pm Sat MST. and we will be happy to assist you with all your questions. According to Digixstream box, across the bottom it says Digixstream Shop is NOT an authorized dealer. Wow…what a bummer. DigiXstream Shop will continue to assist Past and Future DigiXstream Shop Supported Customers with the best and most thorough tech support service available, just as we always have. Corey, I regret to inform you, your DL4 is considered obsolete and Android version will not update. There is no update for the Android Versions. To get Kodi 17 +, you’ll need to upgrade to a newer unit with Android 5.0 or higher. I suggest the FOMOstream® Fs1 Series. All 3 models in the Fs1 Series has Android 6.0.1 install… fully loaded & managed w/ 1yr warranty. Give us a call and we’ll let you know what your options are.